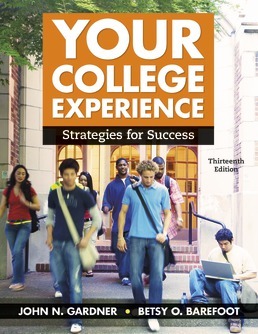 Supported by current research, John Gardner’s and Betsy Barefoot’s Your College Experience, Thirteenth Edition, will help you make the most out of your first year in college. Packed with countless tips to help you succeed in college and beyond, the text focuses on academic and personal strategies that are critical to college success, such as goal-setting, time-management, and physical and emotional well-being. This text also demonstrates how the skills you’re building right now will apply to your life beyond college, and provides guidance and tools you can use to explore career options. To Greek or Not to Greek? John N. Gardner brings unparalleled experience to students as an author. 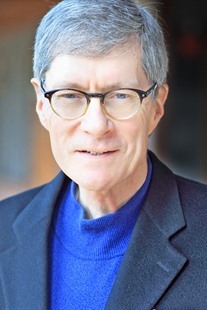 The recipient of his institution's highest award for teaching excellence, John has over forty years of experience directing and teaching in the most widely emulated first-year seminar in the country, the University 101 course at the University of South Carolina (USC), Columbia. John is universally recognized as one of the country's leading educators for his role in initiating and orchestrating an international reform movement to improve the beginning college experience, a concept he coined as "the first-year experience." He is the founding executive director of the National Resource Center for The First-Year Experience and Students in Transition at USC, as well as the Policy Center on the First Year of College and the John N. Gardner Institute for Excellence in Undergraduate Education (www.jngi.org), both based in Brevard, N.C.
Betsy O. Barefoot is a writer, researcher, and teacher whose special area of scholarship is the first-year seminar. 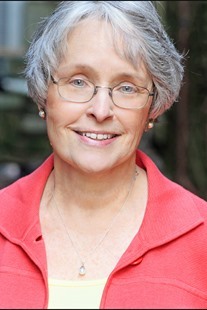 During her tenure at USC from 1988 to 1999, she served as co-director for research and publications at the National Resource Center for The First-Year Experience and Students in Transition. She also taught University 101 and graduate courses on the first-year experience and the principles of college teaching. She conducts first-year seminar faculty training workshops around the world and is frequently called on to evaluate first-year seminar outcomes. Betsy is co-director and senior scholar in the Policy Center on the First Year of College and Vice President of the John N. Gardner Institute for Excellence in Undergraduate Education both in Brevard, N.C. In her Policy Center role she led a major national research project to identify institutions of excellence in the first college year. She currently works with both two- and four-year campuses in evaluating all components of the first year.